Our project for the day will be Chinese privet control on Thompson Creek. 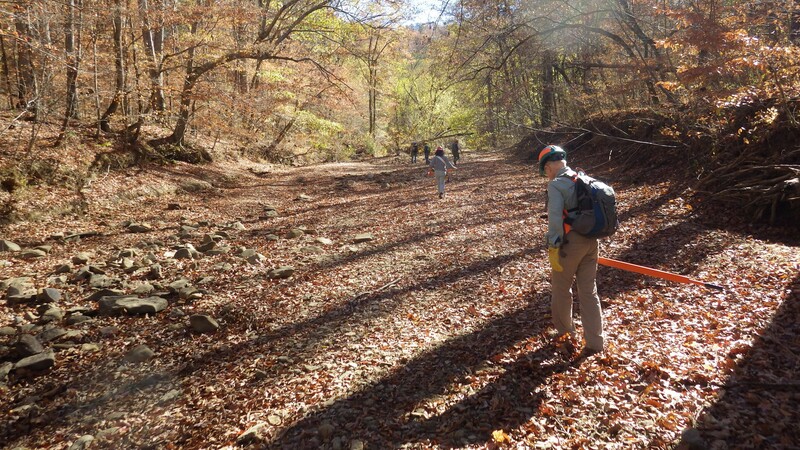 The crew will hike in from the Thompson Creek trailhead, Trail 206, on the western side of Sipsey Wilderness, and begin the work of pulling Chinese privet after hiking for about 2 miles. Round trip hiking distance for the project will be from 4.5 to 6 miles. Privet pulling is strenuous, physically demanding work (see photos in link below). A great way to warm up on a cold day! Bring a backpack with lunch, water and snacks and work gloves. We will provide all the necessary equipment but if you have your own hardhat, please bring it. Same with loppers and hand pruners. Wear clothing suitable for hiking and protection against briars and sharp tools: closed-toe shoes or boots, long sleeves and long pants are recommended. After signing up, meet at the Wild South office at 552 Lawrence Street, Moulton, Alabama (see map link above) at 8:30 a.m. If meeting at the trailhead works better for you, let us know when you sign up. Here are photos from last month’s privet pull on Thompson Creek. Wild South’s Helping Hands volunteer program is funded in part by a matching grant from The National Forest Foundation, a grant from the Community Fund of the Walker Area Community Foundation, a grant from The Munson Foundation, and by the generosity of individual donors.